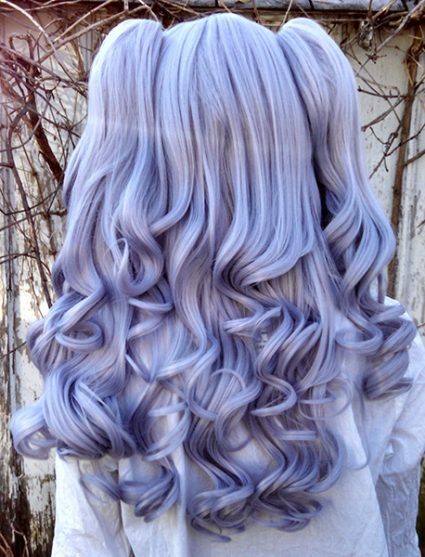 Moon Moon Moon Moon is a beautiful opalescent gray-lavender color, and is one of our employee’s favorites because of its lovely subtle tones. 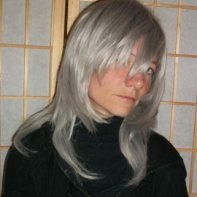 This style of wig looks great on any face shape, and gives a flattering frame to any of our customer’s beautiful faces! 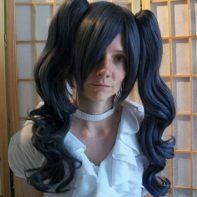 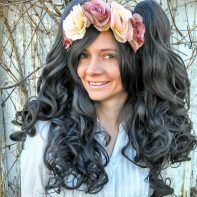 This Gothic Lolipocalypse wig has the same dimensions as the rest of our Gothic Lolipocalypse wigs and is 26″ (66 cm) in length. 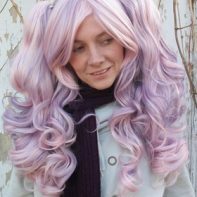 You can purchase the clip-in tails separately or with the wig, as well as purchasing the base wig by itself. 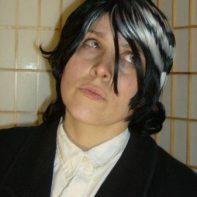 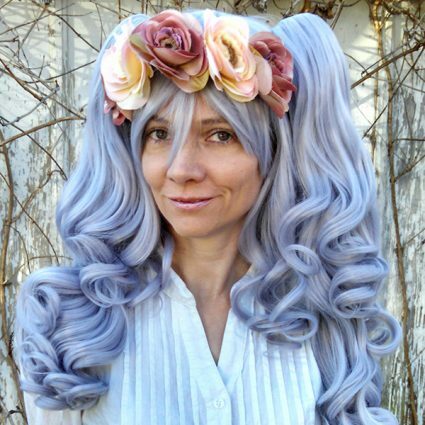 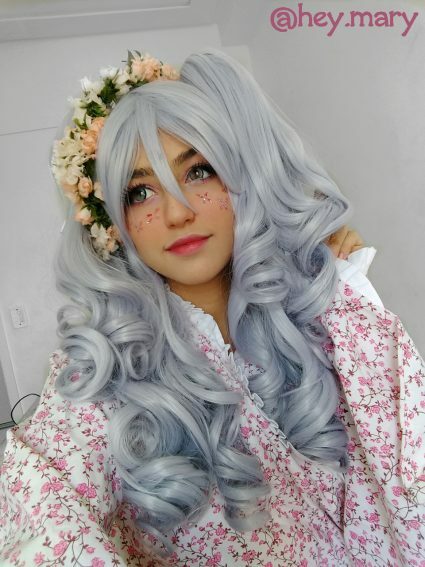 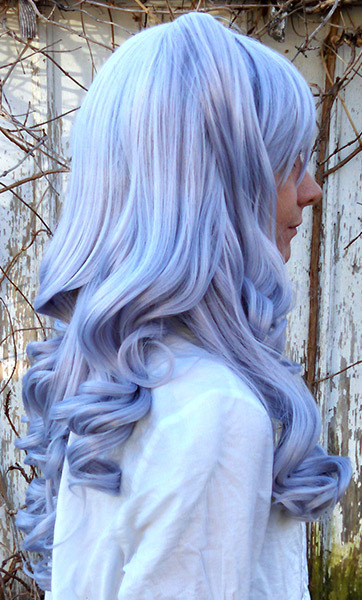 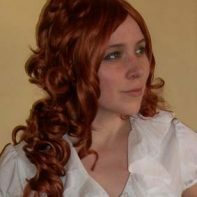 This wig has been reviewed by Maary Secrets!